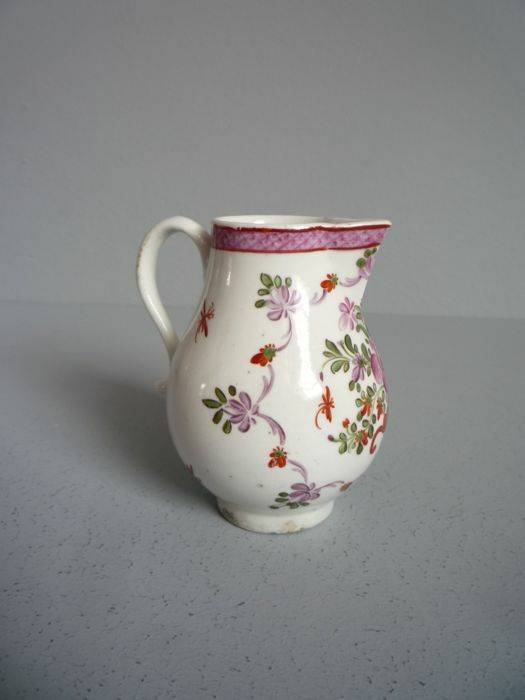 Milk pitcher with floral scenery. 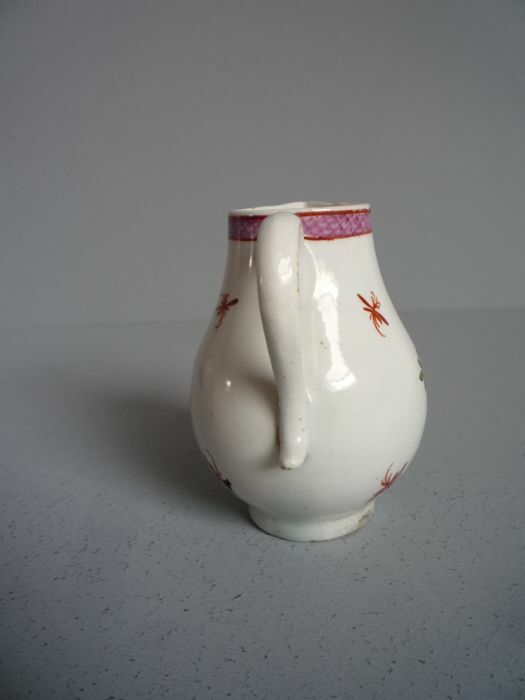 It is 8.7 cm tall. 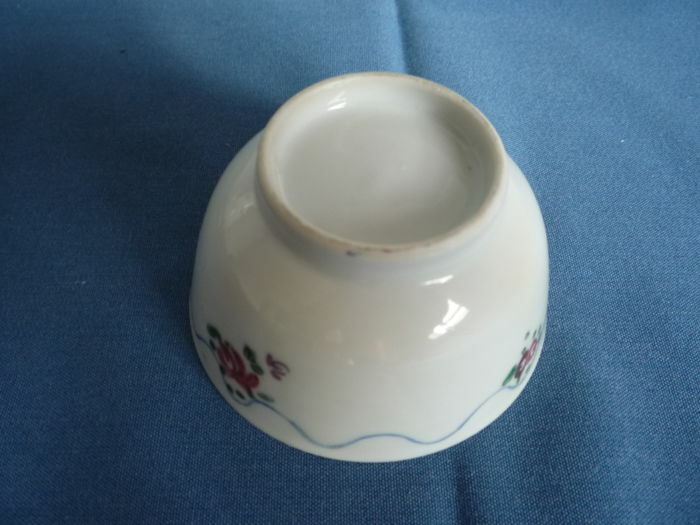 It has a 6.5 cm diameter. 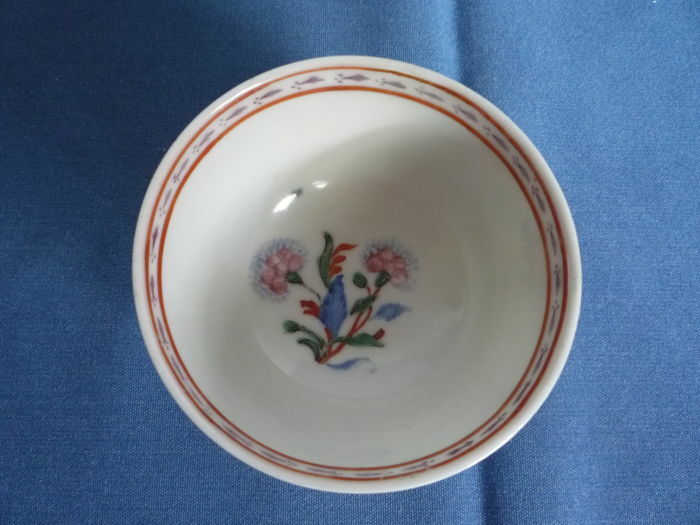 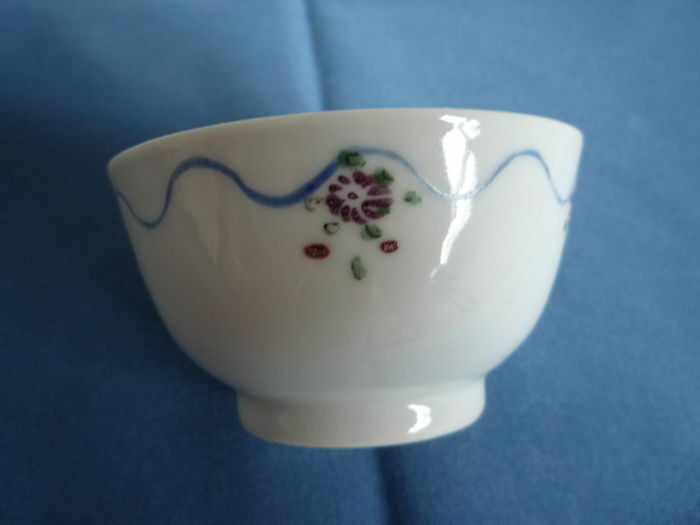 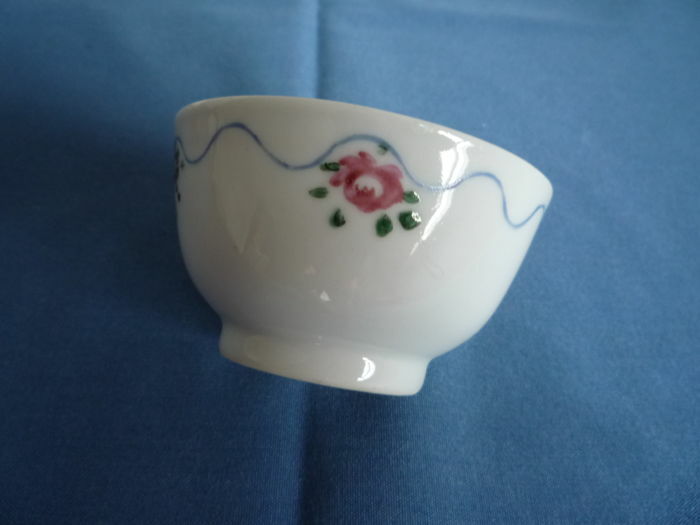 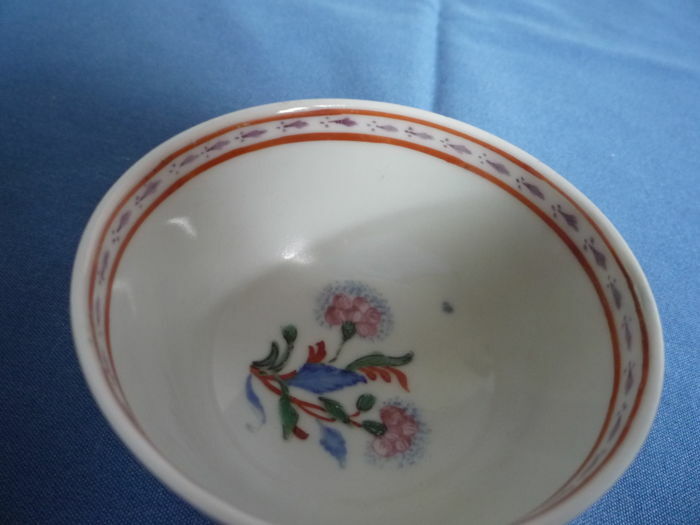 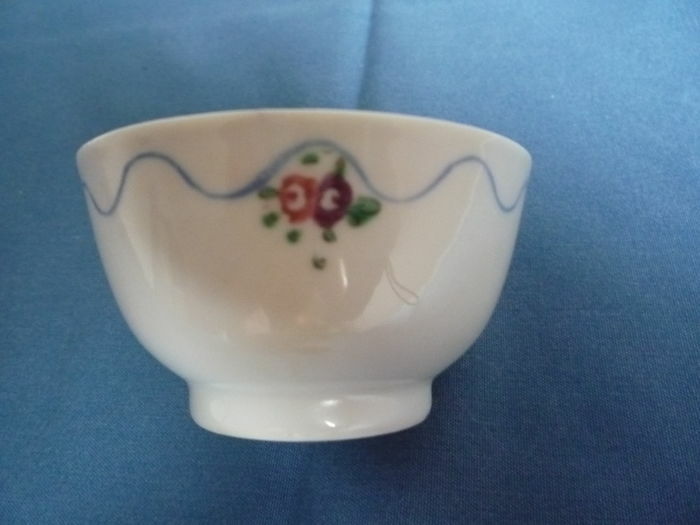 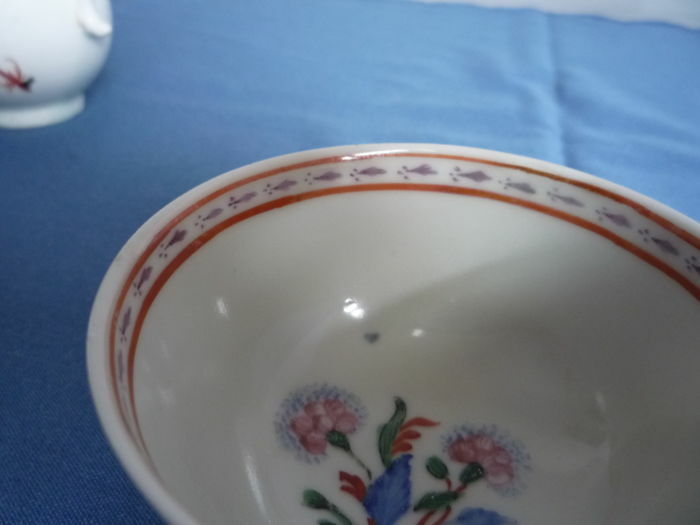 Bowl/cup with floral scenery and a finished edge on the interior. 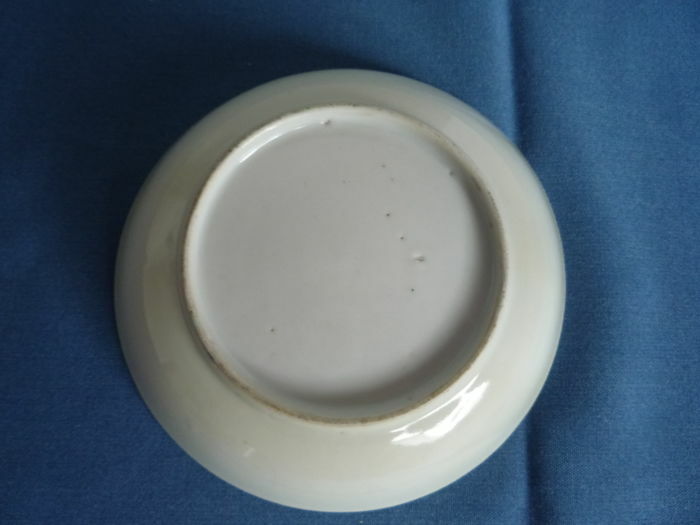 It has a 7.8 cm diameter. 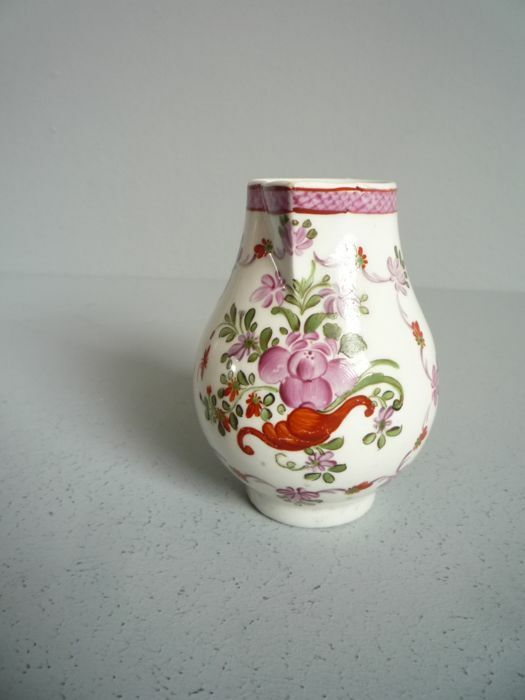 It is 4.5 cm tall. 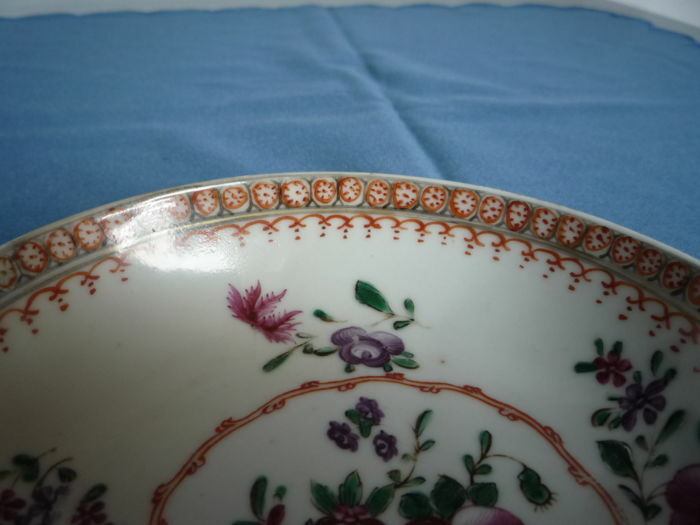 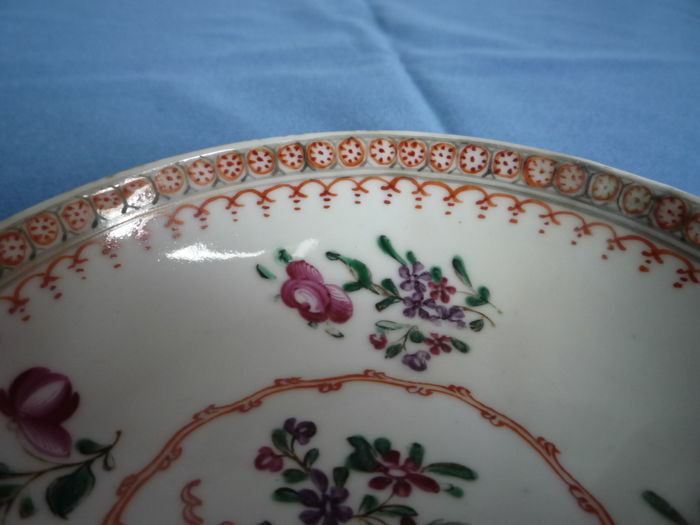 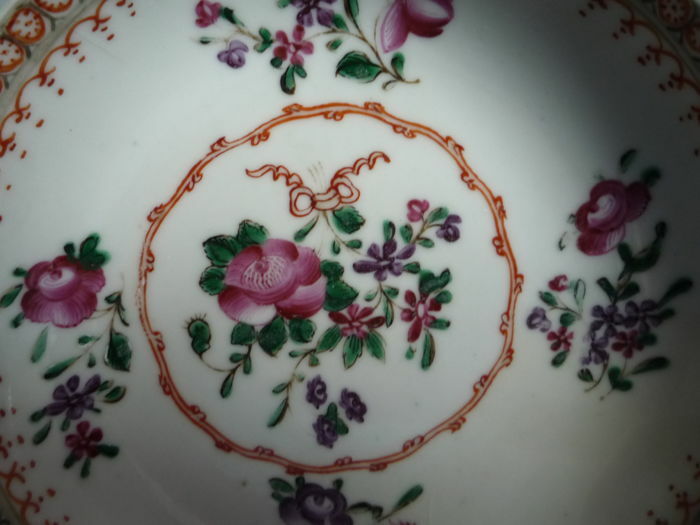 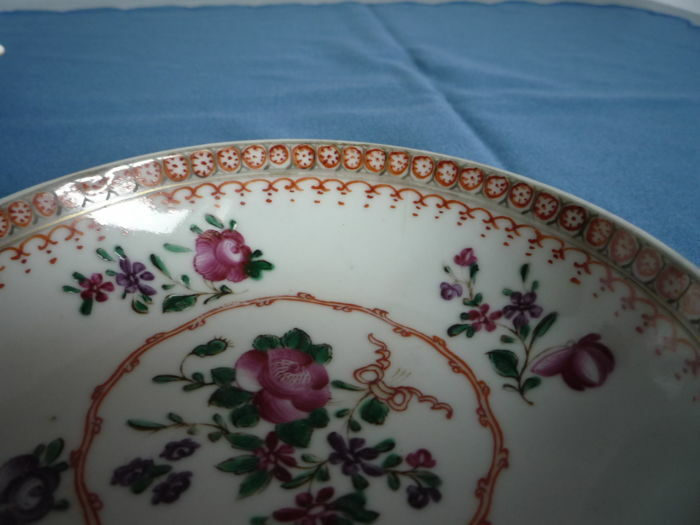 A plate with floral scenery and a finished edge in the middle and on the edge. 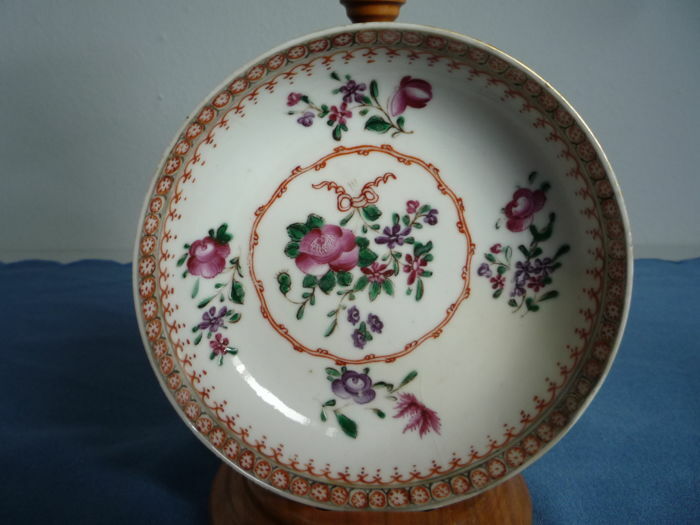 It has a 12.2 cm diameter. 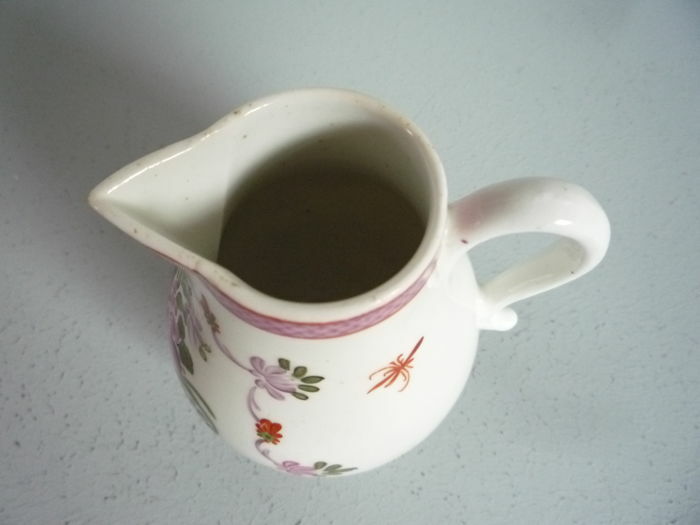 It is 3 cm tall. 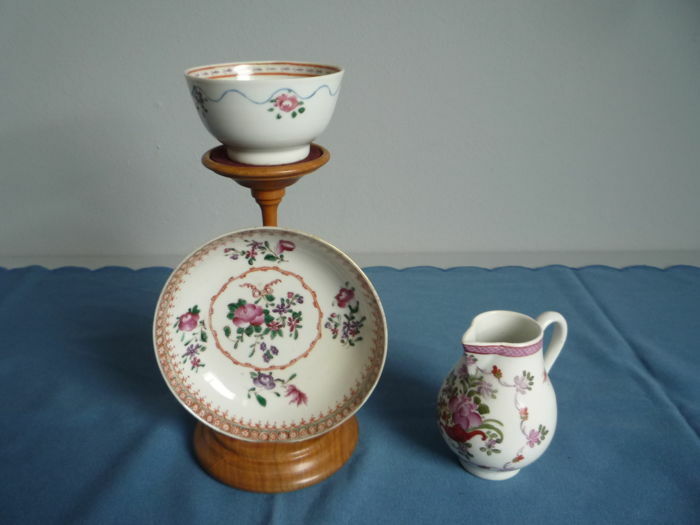 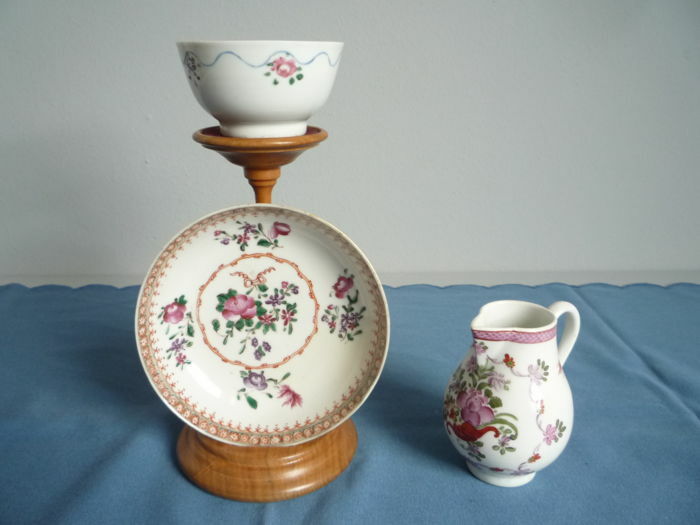 All three pieces are in superb condition. 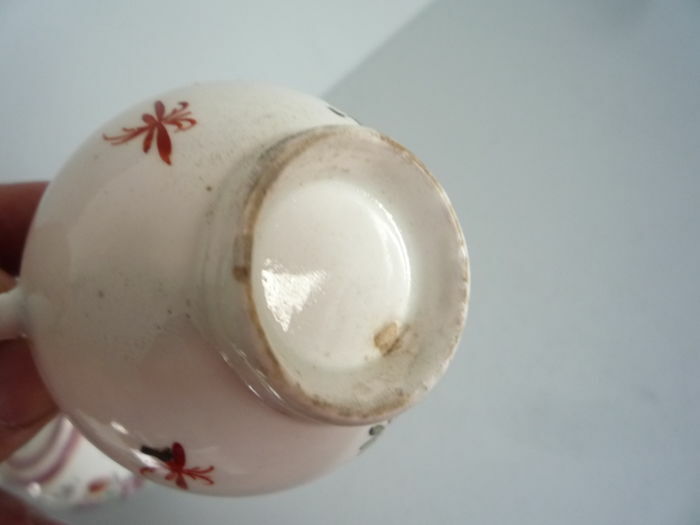 The objects will be carefully packaged and shipped with Track & Trace. 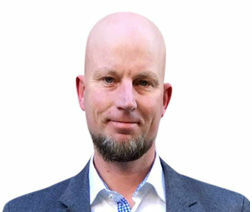 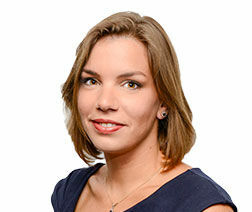 I use Mondial Relay (delivery at a service point) for the following countries: France, Belgium, Luxembourg and Spain. 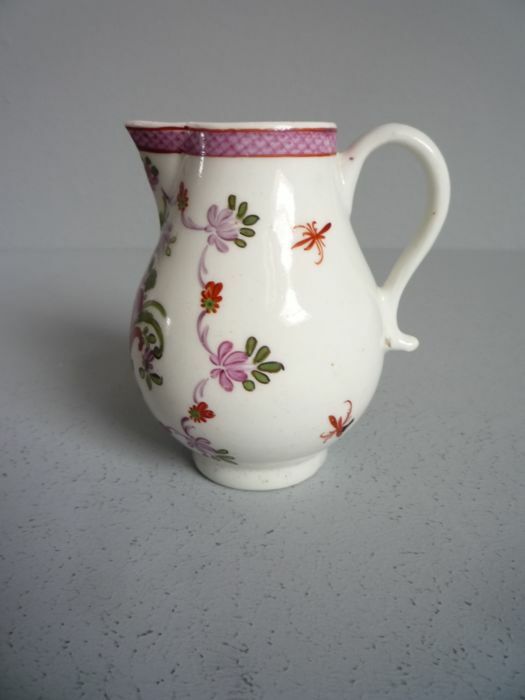 Pode levantar este lote em mão do vendedor: Huelgoat (), França.